Fourteen-year-old Vega Jane lives in the village of Wormwood, where life is nasty, brutish, and short. Villagers have been told that there is nothing outside of Wormwood except for the Quag, a foul forest filled with terrifying beasts. No one comes, no one goes, and Wormwood has stayed this way for generations. Until Vega's friend Quentin Herms disappears. Quentin leaves Vega a secret message hinting that there's a way out of Wormwood and something extraordandinary on the other side. As Vega begins to investigate, she realizes that Wormwood is a village built on dangerous lies. And that powerful people are willing to kill in order to keep it that way. Soon Vega is careening down a path that will either lead straight to the truth...or straight into an early grave. 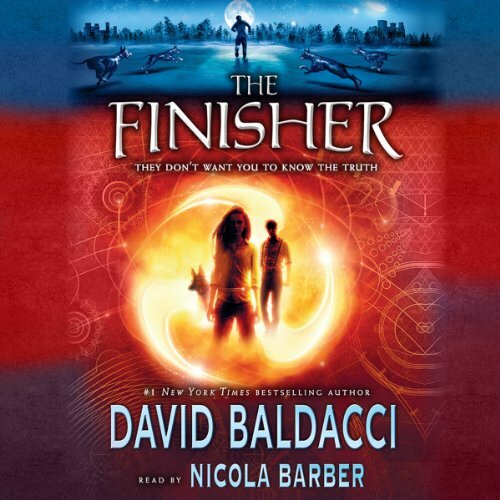 ©2014 David Baldacci (P)2014 Scholastic Inc. The reviews I have read so far are simply unfair. I suppose if you like the same ol' from every author without their giving any extra creativity or imagination, The Finisher may disappoint you. 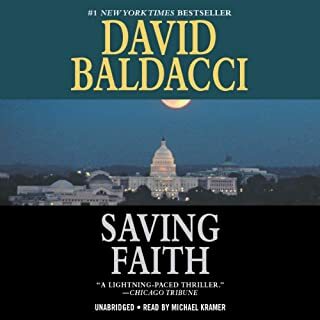 I thought it was a great departure for Baldacci and my only complaint is it ended without and ending. 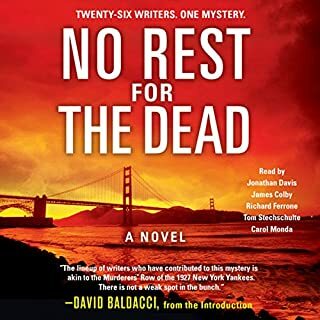 I hope that is because Baldacci intends for it to be a trilogy. This was a great write and the person who read it did a terrific job particularly with the main characters. This was a well crafted story from beginning to end and the character development was perfect. Although the character development may have taken longer than some may have wanted, I would argue it was necessary. 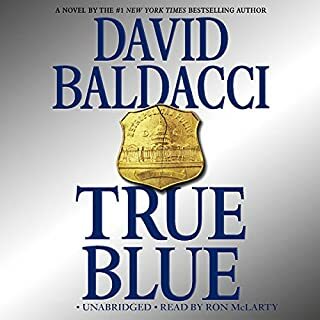 I hope Baldacci writes more of this really creative stuff!!! I was totally surprised by this book. It is GREAT and so very un-Baldacci of the past. He shows how good he is as a writer in this fantasy formated book. Would you listen to The Finisher again? Why? What was one of the most memorable moments of The Finisher? 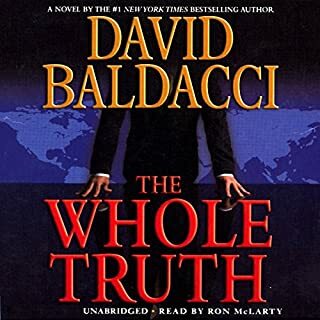 this is not 4 regular Baldacci fans. I personally am not a fan of his, but I do like young adult fantasy fiction and this book hit it right on the head. What did you love best about The Finisher? I bought without reading description because I like the author. At first it took a bit of adjusting to the type of book but after I began listening, I did not want to stop. While his other books are coherent mysteries or thrillers, this adventure reads like a story told to a female grandchild. The 15 year old heroine has many admirable qualities -- courage, compassion and persistence. But this reader became frustrated by detailed descriptions of situations and characters whose purpose never is explained. I would not purchase future books to find out what comes next. For me personally, this is more a 3.5 star book simply because I like deeper characters, conversation, and meaning in 4-5 star books. That being said, the fantasy is enjoyable and the mystery intriguing. The story presents a very different world with imaginative creatures and customs of its own seeped in mystery. Entwined are current familiar figures of speech with occasionally inserted less used vocabulary words attributed to the main character of very simplistic thinking. I like the words. They just seem out of place. I only smile at such anomalies in a story and don't let it ruin the enjoyment. And it is an enjoyable story that exercises the imagination. Some of the "fight or flight" encounters went on a bit long for me and listening at 1.25 to 1.5 speed did wonders. I liked it better than just O.K. but not quite to the 4 star range.. Ah for those partial stars. I wasn't thinking of going to the next episode…..until the end..and now I just may want to know what happened next. There is an ongoing mystery here. Could not stop listening!!! Very interesting read! New spin on new world vs old history. I enjoyed the book! Vega Jane. So interesting how she picked up the pieces of her life and moved forward. very entertaining, and well read. perfect for teens. Magic, Morales and meaning... all in one book. 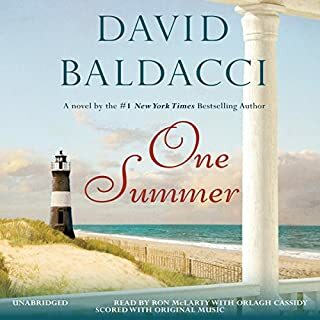 The worst Baldacci I have ever had the misfortune to order on Audible. I want my money back. 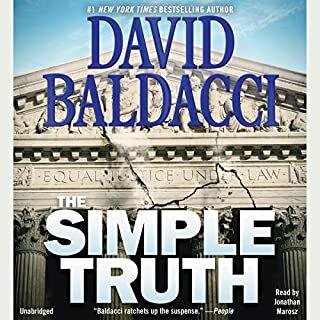 I was worried at first as it starts way different than I am used to with David Baldacci. I loved the story though! And a great reading!